Whether you need room to store your legendary holiday light display or furniture for future generations, Metro Self Storage can help. We offer a selection of Highland Park and East Topeka storage units in popular sizes and competitive prices. A budget friendly 5X10 acts like an extra closet whereas a 10X10 will get your car back inside the garage this weekend. 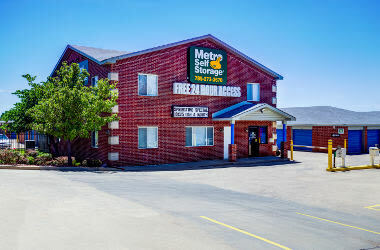 Ideally located adjacent to I-70, Metro Self Storage offers covered RV and boat storage in Topeka. With our proximity to Lake Shawnee, you can grab your vehicle and be on your way to outdoor adventures within minutes. We also offer large commercial storage units with outstanding security features that can handle business storage or large household storage needs. All you need to get on the path to a more organized home is the right-sized storage unit, and our storage pros can be of assistance. Our flexible month-to-month storage rentals are ideal for any length of time. We will gladly share our tips on maximizing your space so you can get the most from your storage budget. 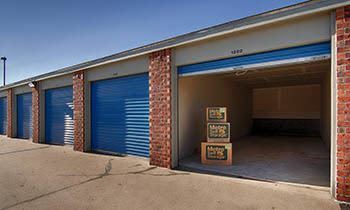 If your business needs extra space, why not consider Metro Self Storage in Topeka, Kansas? Our brick buildings and gabled roofs provide additional insulation to keep your stored items cooler in the summer and warmer in the winter without the added cost of a climate-controlled space. We offer convenient drive-up access units in a wide variety of sizes as well as covered commercial vehicle parking. Our 24-hour approach to storage gives you a level of convenience, confidence, and flexibility that you won’t find elsewhere. When you combine 24-hour access, 24-hour video surveillance, and online account management in addition to Metro’s extended customer service telephone hours, you’ll have exceptional service whether you are online or at our facility. Looking for a well-lit and secure place to store your recreational vehicle or automobile? 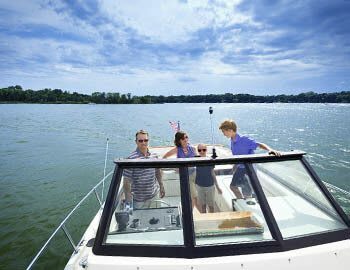 Our Topeka covered RV storage and boat storage near Lake Shawnee is adjacent to I-70 and I-470 so you can be on the road to your next adventure in a matter of minutes. Metro Self Storage offers vehicle parking on a flexible month-to-month basis and, with 24-hour gate access, you can retrieve your car, boat, or RV early in the morning or late at night every day of the year, even on holidays and Sundays. For all the past adventures and the ones still ahead, your RV or boat is bound to provide endless opportunities for creating wonderful memories. Let Metro help protect your investment by reserving your covered parking space in Topeka today.